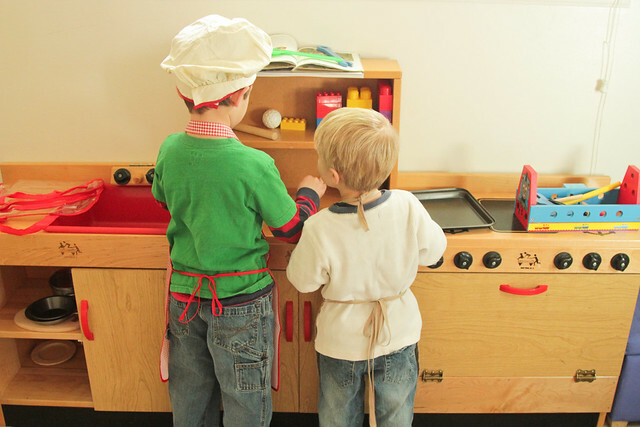 I expected to get a lot of flak for buying my boys a play kitchen for Christmas. But you'd have to be their parent to know what a perfect gift it was for them. These are the boys who revel in watching cooking shows with their dad, and whose reality is having a Dad who cooks as often and better than their mother. So in their reality, there are no gender issues in the kitchen. It's a fun and inclusive spot. I managed to get these from a sweet old lady who was closing down the preschool she'd run out of her home. They've already lasted forever and will last through another forever. (Although if anybody can kill them, it'll be my kids.) 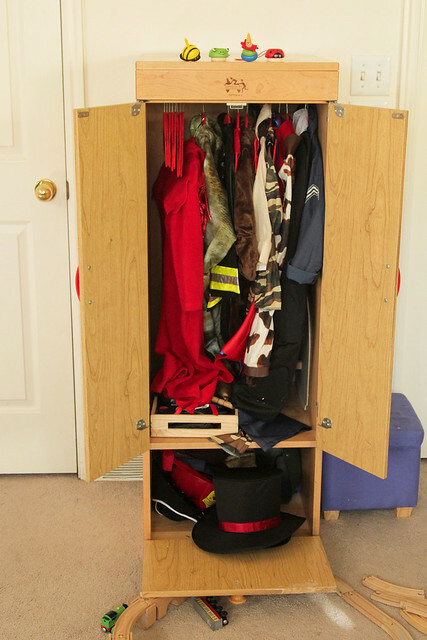 They also came with a little wardrobe closet that I've used for dress-ups. 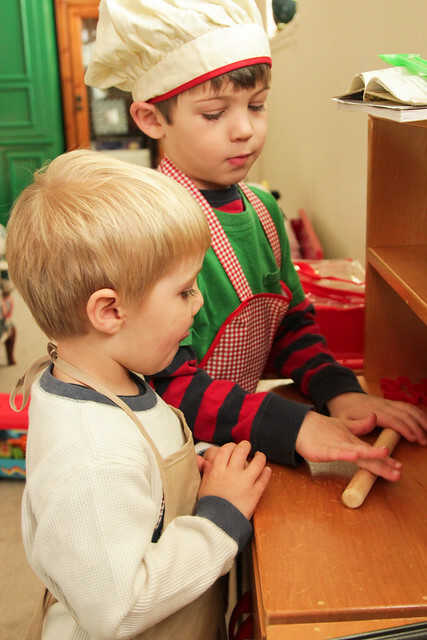 But in the meantime, there'll continue to be large batches of imaginary cookies cranked out of our pretend cucina. So much less messy than the real kind.